Attention to detail separates the average trade show displays from the great ones – and that includes the exhibit flooring. Often overlooked as an important design element, the right trade show flooring can give your display a coordinated, cohesive look that presents your brand personality with style and flair. Today’s exhibitors can choose from a variety of flooring options to create fully coordinated booths that deliver a compelling visual brand message. 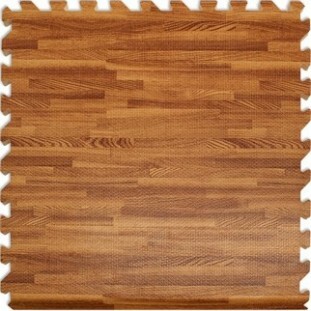 Easier to install than you might think, wood flooring offers a more formal look and feel. 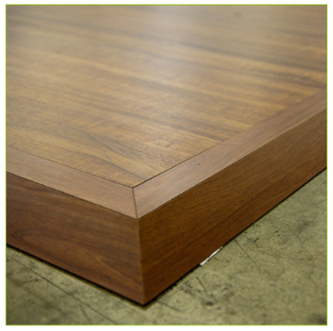 Whether it's real, composite, or even vinyl that looks like wood, a rich wood grain gives a polished, sophisticated look. Available in many different styles, colors, and finishes, wood flooring typically comes in long planks that snap together or square tiles that get placed within a metal frame. For those that support using renewable resources, bamboo offers a “green” alternative that can be dyed to match your exhibit’s color palette. 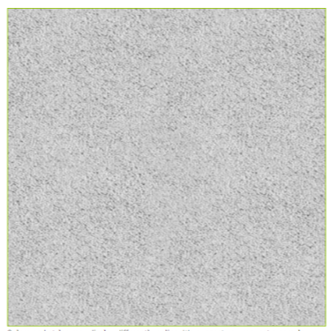 Still one of the simplest, most budget-friendly flooring options, carpeting offers far more choices than in the past. 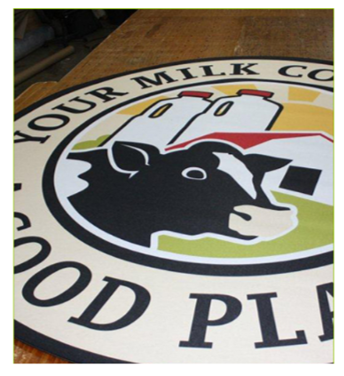 Exhibitors can now choose from patterned, inlaid and printed varieties to add more style and energy to their display booths, and even use stick-on graphic displays to customize their carpeting. Popular with exhibitors who stand on their feet all day, foam and rubber squares offer many other advantages besides comfort. The materials come in a wide array of colors, they fit together like pieces of a jigsaw puzzle for simple installation, and the squares can be made from recycled rubber, making them an Eco-friendly flooring option. On the downside, some foam and rubber squares must sit at room temperature for at least 24 hours to ensure proper installation. Otherwise, the connectors can suffer damage during the installation process. Environmentally aware exhibitors have a wide choice of Eco-friendly flooring from companies like Brumark. 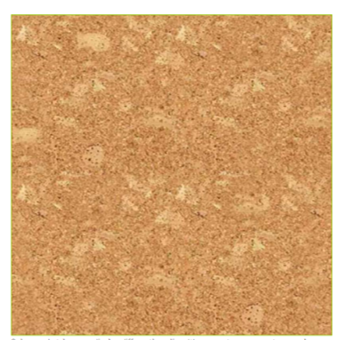 Made from cork, bamboo, recycled tires and other sustainable materials, Eco-friendly flooring can add color and excitement to your display while helping to protect the environment at very affordable prices. 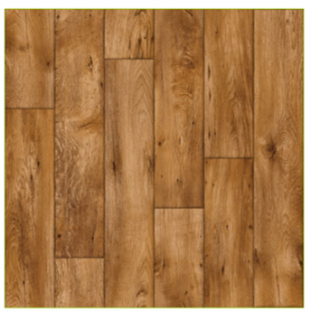 This comfortable flooring material, which consists of a layer of color or faux wood grain laminated in polyurethane, comes in different thicknesses (ranging from 1/8” to 1/4”) as well as varying lengths and widths. Easy to install, all you do is unroll the material and tape it to the floor. Staff and booth visitors will especially appreciate the built-in foam padding and the extra comfort it provides. Until recently, full-color printed trade show flooring cost more than most exhibitors wanted to spend. With recent advances in printing and flooring technologies, you can now install this unique flooring in your trade show booth without breaking the bank. 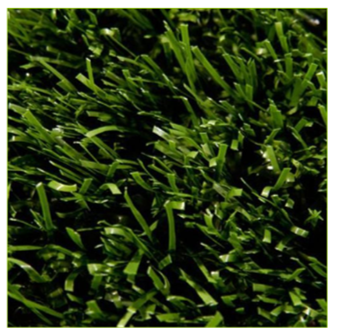 Simple to install and remove, artificial turf adds color and a unique texture to your display booth. It serves as an excellent themed look for sports, landscaping, home lawn care, and other outdoor product companies, and offers an environmentally friendly option for Eco-minded exhibitors. You know that every detail of your trade show booth counts. People make snap decisions about whether or not to visit your booth largely based on what they can see. 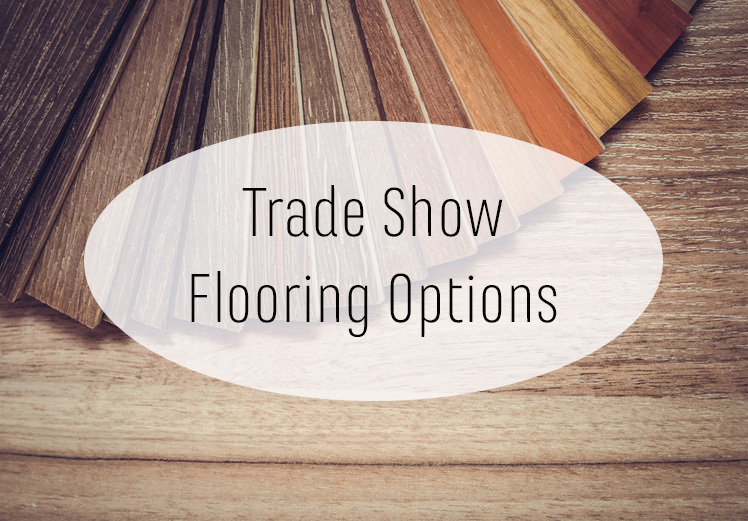 Choosing a flooring texture and color that align with your booth style and brand message makes your display impactful and attracts visitors to you. Are you ready to let us help you stand out?